MapTraB buttons are as good as indestructible! MagTraB delivers an almost infinite number of switching cycles – many, many millions! No annoying, mechanical switch clicks! Instead, the MagTraB push-buttons switch very smooth and silently! 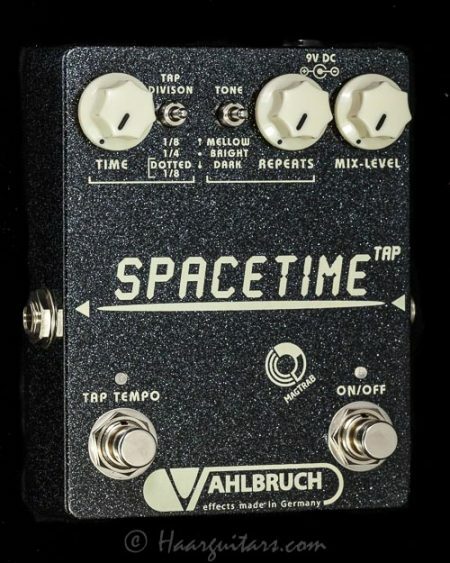 The “SpaceTime” is a handmade echo pedal which combines the advantages of analog and digital circuits in a unique way. 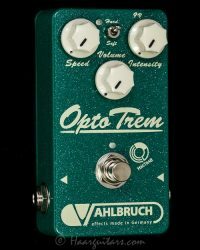 As a result it is a warm and deep sounding delay pedal, easy to operate and able to create beloved analog delay typical self-oscillations. Your direct (dry) guitar signal is completely preserved in the analog world – there is no latency for your straight guitar signal! In a carefully designed parallel digital signal path the generation of the echo signal is realized and fnally added to the dry signal back in the analog world. The “SpaceTime” pedal has three control knobs to adjust your tone. The delay time is set by “Time”, the number of echo repeats can be changed by “Repeats” and the volume of the echo signal can be adjusted with the “Mix-Level” knob. Additionally a toggle switch allows you to change the treble content of the echoed signal. Switching from “bright” to “mellow” to “dark” gradually reduces the top end – resulting in warm, deep and natural sounding echo. 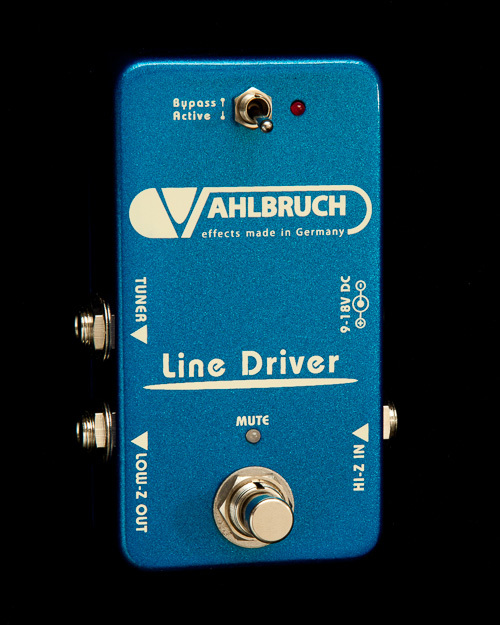 The straight (non delayed) guitar signal is not affected by this tone control! A second toggle switch changes the subdivisons of the echo time entered by the tap tempo button. You can choose between 1/4, 1/8, and dotted 1/8. Turning the “Time” knob will overwrite	the tapped tempo again. 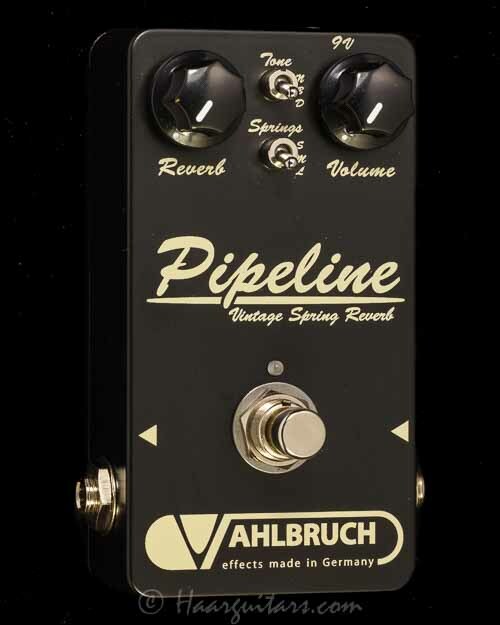 An internal DIP-switch allows you to select between “true bypass” or “buffered bypass”, “kill dry” and “trails on/off”.